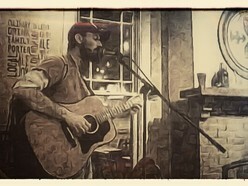 Born and raised in the rural farm country of Southern Illinois, Ben's musical influences and roots are as far reaching as the tributaries of the Mississippi river. His gradmother first began to teach him to pick guitar at 5 years old and he hasn't stopped since. You can hear deep seeded flat-picking bluegrass melodies and folk roots music reminiscent of the Old Carter Family in many of his songs as a tribute to his grandmother's style as well as the finger-picking and acoustic slide techniques of blues mainstays Blind Blake, Lightin' Hopkins, Robert Johnson and Mississippi John Hurt. Every one of his songs are based on personal experience and many are written about family members and friends. From the melancholy and reflective tones of "Back on the Line" (based on his late grandfather's poem) to the deep symbolism of dealing with untimely loss in "Forgotten Flood" to his comedic story-telling ability in "The Great Pasture Fire" and "Dan's Tacos", there isn't any part of the emotional spectrum he hasn't touch on. Influenced by the songwriting styles of Townes Van Zandt, Guy Clark, Blaze Foley, Jim Croce and motivated by the strong desire to tell his stories, Ben is among a rare breed of musicians and songwriters creating music and lyrics that consistently resonate who he is, where he's from, and the values he cherishes most.